If you have a possible meteorite for sale (for example a rock that you found), please read this page carefully as it contains a lot of useful information about meteorites. If you are interested in learning more about the subject please download our Is This A Meteorite? Field Testing Guide — a detailed and fully-illustrated 24-page booklet, available as a PDF file or Geoffrey Notkin’s ebook, available on this website Meteorite Hunting: How To Find Treasure From Space. Meteorites cannot be identified over the phone or by photograph. Aerolite’s Identification Division is no longer accepting submissions. We can only recommend you contact a local university for assistance. Please do not contact our sales department, as they will just relay this same information to you. If you have a meteorite for sale that has already been positively identified and classified — that means it has a name and/or associated paperwork or identification card and is listed in the Meteoritical Bulletin Database, please contact us directly. Most meteorites were once part of large asteroids that broke up, or perhaps never fully formed more than four billion years ago. A very few are known to have originated on Mars and our own moon. These fragments of alien worlds wandered in the cold void of space for long periods of time before crossing paths with our own planet. Their tremendous terminal velocity can result in an encounter with the air above us at a staggering 17,000 miles per hour, or more, resulting in a short and fiery journey through our atmosphere. Meteorites are often mistakingly called meteors. Meteor is the scientific name for the atmospheric effect caused by a piece of extraterrestrial matter burning in our atmosphere, and should not be confused with the word meteorite, which refers to any material that actually lands. A bright and typically very short-lived meteor is caused by atmospheric drag and friction acting on an incoming body that becomes so hot it literally incandesces, as does the air around it. Most meteors glow for only a few seconds or less, and that brief period of intense heat is part of what makes any surviving meteorites so very unique and fascinating. The extremely high temperatures cause surfaces to melt and flow, creating remarkable features that are entirely unique to meteorites such as regmaglypts, fusion crust, orientation, and rollover lips (more on these features below). HOW MUCH IS A METEORITE WORTH? Meteorites are valuable both to science and the collecting community. We believe that a modest portion of new meteorite finds should be made available to academia for study. Identification and classification of a new meteorite is a fairly complicated process that can only be handled by a very small number of specialists. 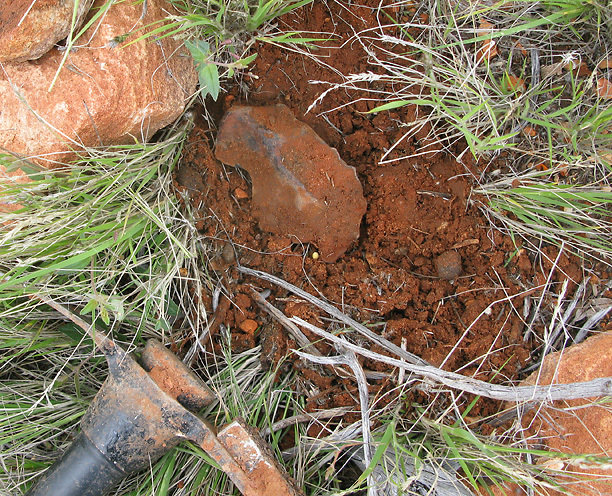 We have assisted many meteorite finders in identifying and classifying their finds. Most of those finds were then placed with prominent museums to sold to collectors or commercial interests. Asking what is a meteorite worth is a bit like asking how much a car or a house is worth. You would need some specific information to make a useful estimate. Value is determined by many different factors including rarity of type, size, condition, aesthetic appeal, and so on. Meteorites have significant financial value to collectors and scientific value to researchers. Meteorite values can range from a few dollars to hundreds of thousands of dollars. Are meteorites are attracted to magnets? Nearly all meteorites contain a significant amount of extraterrestrial iron, even those that look similar to terrestrial rocks (stony meteorites). Test your find with a good hardware store magnet or a rare earth magnet. An extremely small percentage of meteorites do not show strong attraction to a magnet. Those meteorites look similar to volcanic rocks from Earth, and are not metallic in appearance. Most meteorites are much denser than ordinary Earth rocks. The thing most people say when they hold a meteorite for the first time is, “Wow! It’s so heavy!” The unusual weight is due to high iron content. Meteorites likely traveled in space for millions of years before visiting us here on Earth. They were bathed in cosmic rays, but are not dangerous or radioactive. Most meteorites will easily stick to a magnet. Use a good quality magnet to test your specimen. If you do not have one, we offer for sale the same powerful rare earth magnets used in our television series Meteorite Men. Our meteorite hunting kit contains a rare earth magnet and other tools used by professional meteorite hunters. Meteorites are dense, they will feel heavier than ordinary Earth rocks of a similar size. Recently fallen meteorites will have fusion crust on the outside. This is a thin black rind, sometimes shiny, sometimes matte black, which forms while falling meteoroids are super-heated in the atmosphere. 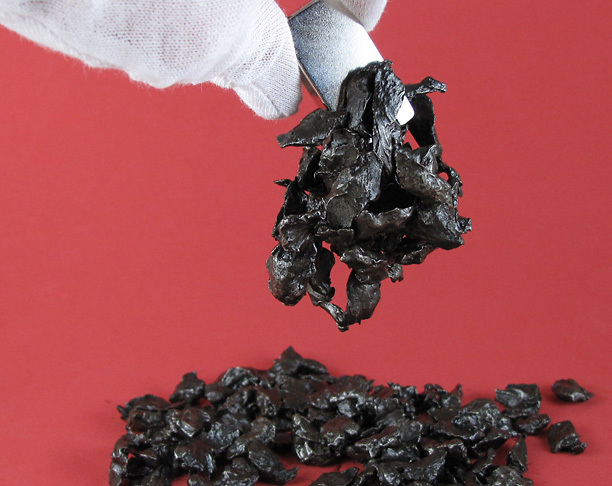 Meteorites, especially irons, often acquire “regmaglypts” (thumbprints) caused when their surface melts during flight. Stone meteorites sometimes display regmaglypts too, but they are typically not as well defined as in irons. Nearly all stone meteorites contain small, bright metallic flakes. These are tiny pieces of extra-terrestrial iron and nickel. You can usually see them after slicing off a small piece, or removing a corner with a bench grinder. Chondrules are small, colorful, grain-like spheres which occur in most stone meteorites, hence the name chondrites. Chondrites are the most abundant type of meteorite and chondrules are not found in earth rocks. We often are asked, “Do meteorites rust?” Meteorites that have been on the Earth for a long time will likely start to rust, or — in dry desert environments — acquire a patina caused by oxidation. The natural patina of irons is often yellow/ochre, red, or orange. Most potential meteorites spin and tumble as they plummet through the atmosphere. Occasionally, one will maintain a fixed orientation towards the surface of our planet, causing the leading edge to ablate into a shield, nose cone, or bullet shape. When meteorites ablate, some of their mass is removed as a result of vaporization. Meteorites which display such features are quite rare and are described as oriented. Meteorite hunting is a difficult and challenging occupation and the best way to succeed is to understand what meteorites are, where they come from, and what equipment and techniques are best suited to find them. Geoff Notkin, CEO of Aerolite Meteorites Inc and star of Science Channel’s multi award-winning adventure series Meteorite Men, has written the definitive guidebook to searching for space rocks. Meteorite Hunting: How To Find Treasure From Space won an IPPY Award as one of the best independently-published science books of the year, and can be ordered directly from us and you can order the ebook here. This groundbreaking work is packed with color photographs, maps and diagrams and also contains an excellent section on meteorite identification. It includes detailed discussions about different types of equipment, hunting strategies, research, and more. We carry meteorite hunting equipment and the same metal detectors that Geoff used on Meteorite Men. We are always happy to assist with advice and information on meteorite hunting equipment. We regularly hold immersive and action-packed hands-on meteorite hunting training camps where we teach you how to use state-of-the-art metal detectors and other equipment. We share our specialized and exclusive knowledge with you and you get to keep everything you find! Alumni from our training events are then eligible to participate in more adventurous expeditions national and international expeditions with us. Visit our Meteorite Adventures website or watch our exciting YouTube video to learn more! Meteorites are not associated with annual meteor showers such as the Perseids and the Leonids. The cosmic material that causes those shooting stars is cometary debris — small pieces of ice and rock, frozen and drifting in space, which burn up when they encounter our atmosphere. There has never been a documented case of a meteorite being part of one of the annual meteor showers. Despite what we may have seen in Hollywood action movies, meteorites are not burning, or even hot, when they land upon the Earth. The glowing fireballs we see in the night sky are caused by atmospheric pressure and friction. Meteors typically stop ablating (burning) seven to ten miles above our planet’s surface, then fall in what is known as “dark flight,” according to the normal acceleration due to gravity. It is very cold at high altitudes, so meteorites cool quickly as they plummet towards the Earth. There has never been a documented case of a burning, or even hot, meteorite landing upon the Earth. If you witnessed a burning object hit the ground it may have been a damaged aircraft, fireworks, UFO, or other unknown object. Due to their great brightness, large meteors often create a remarkable optical illusion in which they appear to have hit the ground somewhere nearby. The glowing fireballs we see in the night sky are caused by atmospheric pressure and friction, but meteors stop ablating (burning) far up in the sky — typically seven to ten miles above the Earth’s surface. If an observer witnesses a bright fireball, and the flame goes out while it is directly overhead, a meteorite may land relatively close to the observer. When we watch a bright shooting star apparently land close by, what we are usually seeing is a fireball arcing away, over the horizon, still high up in the atmosphere. Due to the curvature of the Earth, the fireball may seem to hit the ground, but has in fact just moved out of our field of view and gone beyond the horizon. Because of its extreme brightness the fireball appears — to our human eyes — to be much closer than it actually is. Such a phenomenon can be frustrating because it does look as if the meteorite landed “just over there.” However, it probably landed hundreds of miles away due to the extremely high speed of travel. Another thing to consider is that when a meteorite lands near observers, those witnesses often report hearing loud sonic booms, and/or “whizzing” noises. If no sound accompanied the spectacle, then the meteor was probably a considerable distance away. But at least you had the privilege of witnessing a real fireball! [above] Meteorites can land absolutely anywhere! If you want to find them, it is vital that you understand what they look like and what their properties are. The stone meteorite pictured here was found in a parking lot by Is This A Meteorite? Field Testing Guide author, Geoff Notkin. Unfortunately, that is unlikely. Achondrites (stony meteorites without chondrules) contain little or no iron and will attract little, or not at all, to a magnet. Achondrites look much like earth rocks and, when found were usually either witnessed falls, or recovered on old desert surfaces devoid of terrestrial rocks. If you’ve found a shiny metallic-looking rock that doesn’t stick to a magnet, it is probably not a meteorite. The earth rock most commonly mistaken for a meteorite is hematite, a common iron oxide which has a bubbly red, gray, or black metallic surface, and is sometimes called a kidney stone. A detailed examination by an expert is usually required in order to identify an achondrite. Many people contact us after finding a rock which has, strangely, materialized on a lawn or driveway during the night. We agree that this is an intriguing mystery, but please consider the fact that not all strange rocks are automatically meteorites. Look carefully at the rock. Does it show some of the features described here? Meteorites are rich in iron and iron decomposes in moist environments or near water, especially salt water. It is therefore unlikely that a meteorite would be found in or near the ocean or a riverbed, although meteorites have occasionally been found in dry washes in the desert. Man-made material that will stick to a magnet is often used in the construction of railroad lines and that material is usually black in color. If your rock was found on or near a railroad line, it may have been throw from a train, or used in railroad construction. We have never seen a perfectly round meteorite. If your piece of iron is spherical, it is probably man-made, even if it looks old and has acquired a patina. Man-made objects are frequently found in odd and unexpected places. Prospectors ranged all over the world, especially in the American West, looking for precious metals. They often left lumps of smelted metal ore behind them, and that material is frequently mistaken for meteorites. Also, people drop things, forget things, throw things away; they also abandon campsites, villages and even towns. Man-made metallic objects are everywhere. All of these are common Earth rocks which are certainly look unusual, but not meteorites. We know it can be difficult to someone outside the profession to distinguish a meteorite from a meteorwrong, that is why we offer this page as assistance and an downloadable PDF for a nominal fee. Think you have a space rock?